Search Inside Yourself Comes to Zagreb! Deiric McCann is Head of International for Genos International, a world leading provider of Emotional Intelligence assessments and education offerings. He has more than 25 years’ experience working with multinational clients worldwide to help them to get the very best from every person in their organisations. 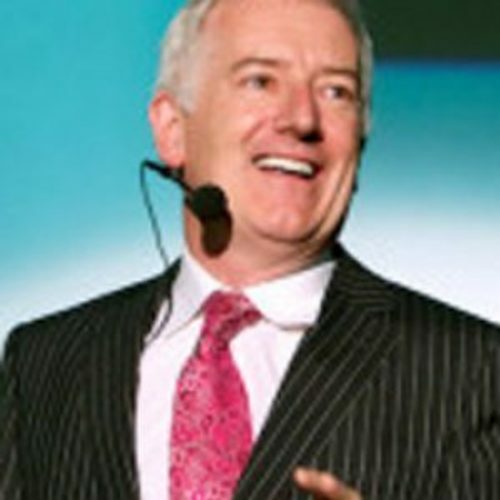 Author of Leadership Charisma and several other books that emphasise the critical role of engaging people to achieve business success, his particular expertise is in helping clients and partners implement EI based solutions that deliver measurable Return on Investment – something he speaks on regularly around the world. Svea’s passion is to combine the rigor of evidence based consultancy with the wisdom of mindfulness in her work. For almost 20 years she has been working internationally (e.g., in Europe, the US, China, Middle East) as a management consultant on organizational transformation & personal development for private & social sector clients. Among others, Svea worked as a strategy consultant at McKinsey & Company focusing on large-scale change and capability building programs. She holds a diploma and PhD in psychology, and is a certified systemic coach and SIY-teacher. Svea is author of several books on mindfulness & leadership. Since 1994 she has practiced mindfulness and been trained by different meditation teachers (especially in the realm of Zen as disciple of Zen-Master Prof. Dr. Migaku Sato Rôshi). In her spare time, she practices Ashtanga-Yoga. She lives with her family (1 son) in Berlin. Since 2012 she is co-CEO of the consultancy RETURN ON MEANING GmbH (www.returnonmeaning.com) with the vision of cultivating conditions for meaningful work in the workplace. Prices displayed are per person. To inquire about group and corporate rates, contact us. What if I purchase a ticket and then can't make it? Transfer to another participant: Tickets are fully transferable to another person at any time. Contact SIYLI to give us the name and email of the attendee in your place. Unfortunately, registrations are not transferable between programs and we are unable to provide credit for future programs. Refunds will be issued through Eventbrite and processed within 15 days of notification of cancellation.